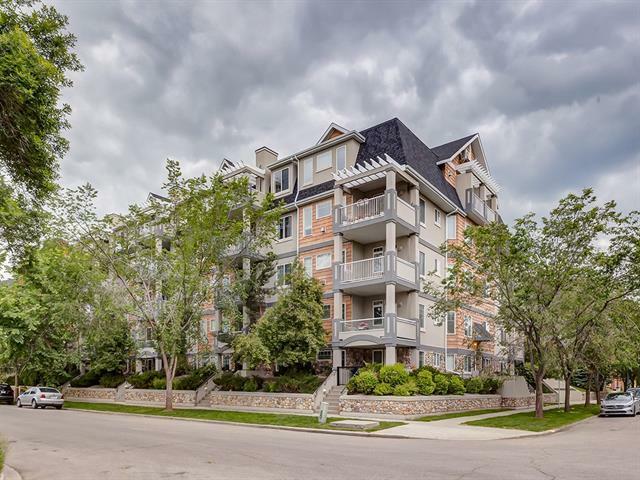 Exceptional inner city apartment just steps from the C-Trail in the desirable community of Erlton! 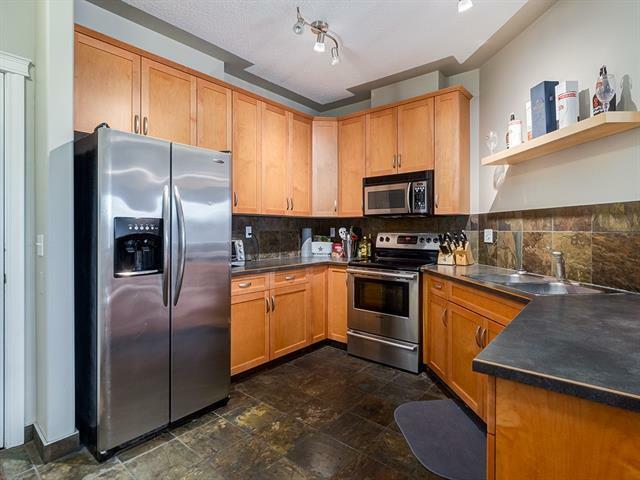 Your condo welcomes you with an open floor plan, ample natural light, in-suite laundry, in-suite storage, a titled parking stall and views of Stampede Grounds! 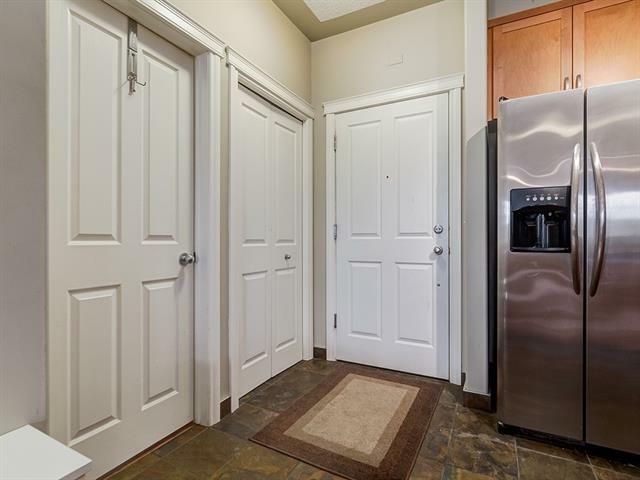 The foyer leads you into your kitchen which boasts maple cabinets, SS appliances,plenty of counter space and a breakfast bar. 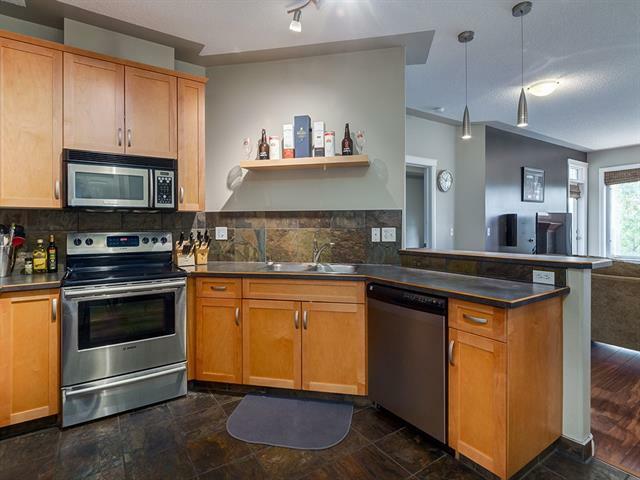 The kitchen flows into your living room w/ feature fireplace and ample natural light. The master bedroom has a spacious walk-in closet with custom built in organizers and an over sized 4pc ensuite with jetted soaker tub. The second bedroom also has custom built-in closet organizers and easy access to the main 4pc bath. A laundry cupboard and den complete this wonderful apartment. Outside your east facing balcony has plenty of space for a table & chairs and access to your storage room. The heated and titled parking stall also offers more storage with a storage box hanging above the stall.